Enjoy all-inclusive luxury vacations at Sandals Caribbean resorts and see why we offer the most romantic getaways with more quality inclusions than any other luxury beach resort. We feature the world's most comprehensive all-inclusive package where guests can enjoy gorgeous white-sand beaches, 5-star Global Gourmet™ dining, opulent accommodations, unlimited premium spirits, exciting water sports, and more. Every Sandals sits directly on a stunning beach on six of the most gorgeous destinations in the Caribbean, a region famous for its endless white-sand expanses, exquisite turquoise waters and romantic sunsets. From Jamaica's warm reggae pulse to the Bahamas' sophisticated beat and from Saint Lucia's volcanic majesty to Antigua's exotic allure. Discover the most romantic suites in the Caribbean, this exceptional collection offers the utmost in privacy, comfortt and five-star luxury. At Sandals, dining is one of the most impressive highlights of your Luxury all-inclusive vacation. With over 60 themed restaurants from around the world and as many as 21 unique culinary concepts, you’ll enjoy a level of variety, quality and creativity that’s simply unmatched by other all-inclusive resorts. At Sandals all-inclusive resorts you enjoy 24-hour drink availability! Our bars are open from early in the morning until late at night. All our rooms are stocked daily with beer and wine, plus our Concierge and Butler suites include premium spirits. We have designed the bars exactly where they should be - right on the beach and directly over the ocean - to give you a truly authentic island experience. Only Sandals includes diving with the best in equipment, staff and unbelievable dive sites. Even if you've never dived before, our PADI® Discover Scuba Diving Program (nominal fee applies) will have you experiencing a whole new underwater world by the very next day - with all the instruction and equipment you need. Named one of the best courses in the Caribbean by Travel + Leisure Golf. 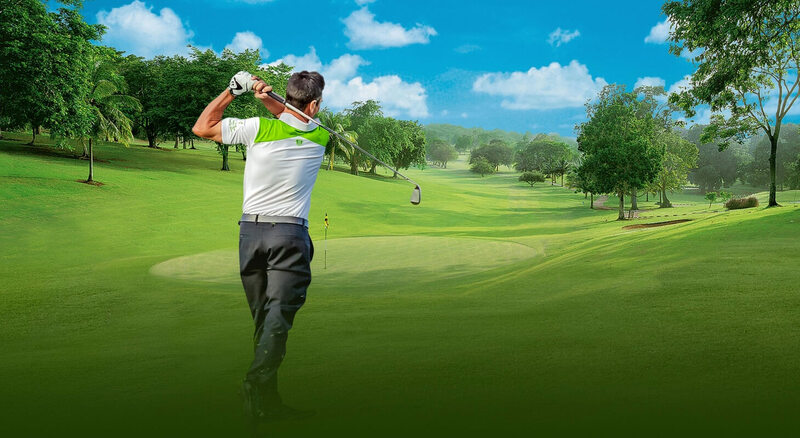 Complimentary green fees are included for all guests in Jamaica. Complimentary green fees are included for all guests in Saint Lucia for the Sandals Regency La Toc Golf Club, and are included for guests who have booked 6+ nights for the Sandals Cap Estate Golf & Country Club. Unlimited complimentary green fees are included for butler-level guests at Sandals Emerald Bay. All other guests can play 2 rounds free as part of our current “2 Rounds Free” offer, which is subject to change at any time. Golf is not included in Antigua, Barbados, and Grenada. Welcome to Sandals, where the bellman greets you by name, the bartender remembers your favorite drink, and every smile makes you feel at home. Our staff is the finest in the Caribbean, embracing a philosophy of unrivaled personalized service that is the hallmark Sandals' success. Great opportunities are available for Sandals staff members through Sandals Corporate University with the best education and training programs. Indulge in limited-edition events and experiences centered around six distinct areas: music, culture, sports, culinary, voluntourism and social interest. 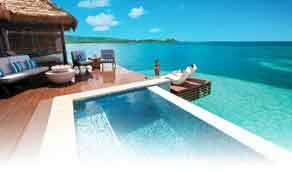 Sandals exclusive "Stay at One, Play at All" exchange program means you can stay at one Sandals Resort and enjoy the amenities, services, bars and restaurants at all other Sandals Resorts for the duration of your getaway. We’ll even include roundtrip transfers between nearby resorts.